Many people don’t realize what an impact lighting and lighting fixtures can have on a space. Not only do they need to provide the lighting you need to carry on with life but they also need to look good. If you enter most generic lighting stores, you will probably see more traditional styles and a few modern pieces thrown in. That is great if this is your style. But what you love the rustic look? Or the country barn style? Or the industrial era? Maybe you have a converted factory studio or condo and you have high ceilings, and want something that will compliment and really make your space pop. This really looks good alongside old brick walls and rustic wall coverings. If vintage industrial brings to mind old bare light bulbs full of cob webs, then really take a look at the examples below. They have come a long way and not only do these fit a certain style but they are also safe. My sister is an electrician and many of her customers would hunt through old garage sales, and flea markets looking for old unique and different lighting fixtures. They would ask her to install them, not realizing that they were used decades ago when wiring codes were different. So in order to make them safe she would rewire them, which can be a tedious job but then inspected for safety. You don’t have to scour the countryside and old industrial buildings to find safe alternatives. 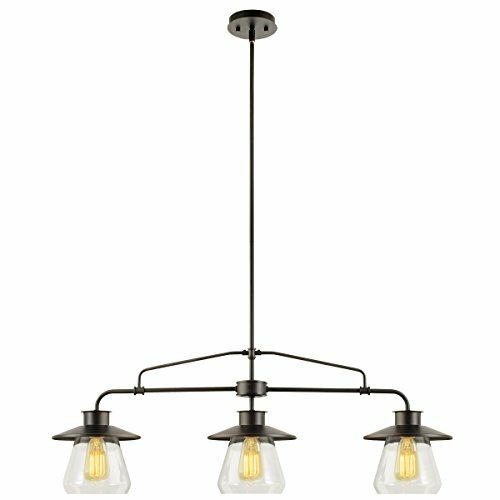 There are many vintage industrial fixtures on the market now that look decades old but are modern and safe. I absolutely love this style. More and more are seen online, with a huge variety. If you have an island, lighting is crucial to be able to see the task at hand, but this can also make a great décor statement as they are seen as an accessory to your rustic or simplistic styling. I love the ones with bulbs in cages, they just seem to give off the right lighting and look perfect in many homes. Your space doesn’t even have to be a converted condo, it can be a modern clean line space and these will still add the “wow factor” as you can see in the picture. They can be grouped together or spaced apart. You can get the special bulbs that complete the look online as well. 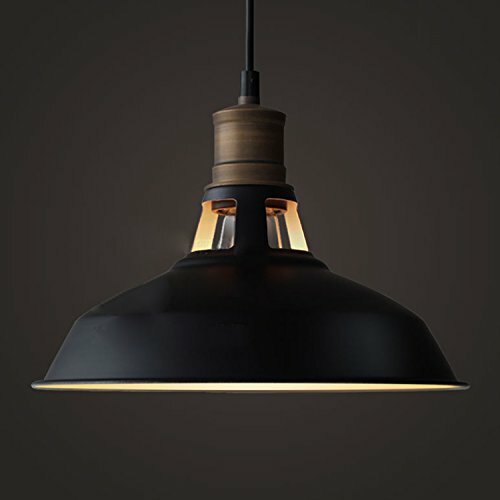 These bulbs have the old style element look inside to add to the rustic and industrial appeal. Check at end of this article for the Edison Bulb. You can start with the hanging pendants over the kitchen island, but you can also add another set over the dining table. This is a fixed 3 bulb set that will compliment the dining area. I personally think it would be great looking over a rustic wood table. But modern furnishings work with this look too. I think because it is so simplistic it can pretty much work anywhere. If you have an open space, sticking to the same theme throughout the space will really personalize your space. This can look awesome against clean lines in your space and especially a white ceiling. With this type of light you can add as many as you need and space them as far as you want. 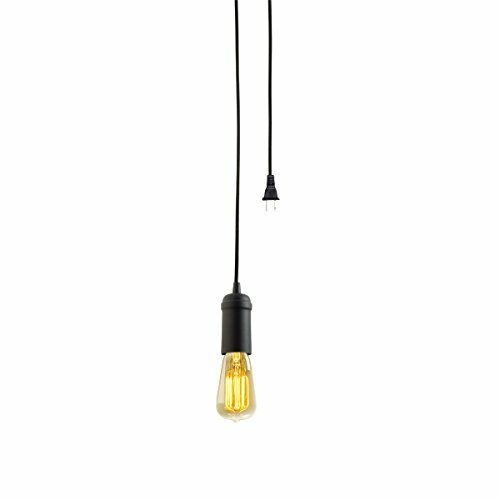 You could actually create an artistic look with this hanging cage style lights. Over the table or over the island or even in entrances, these would look great together especially in a grouping. 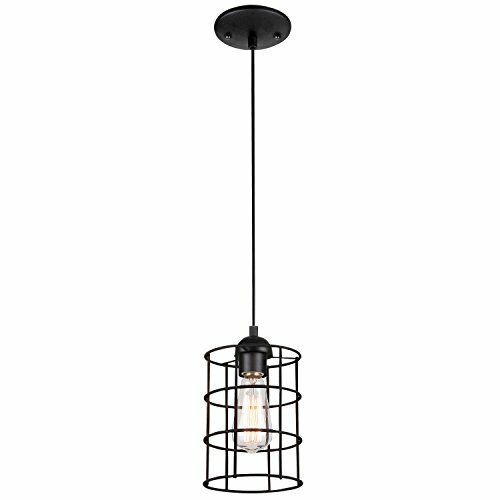 If you love having more of a fixture element to your lighting, this one makes a statement too, with the barn style hanging light. Aged steel is used to give this fixture a patina that doesn’t look too modern. You can also get these with a clear glass if you prefer that look, but still looks vintage. These are individual fixtures so you can get a grouping or just one. 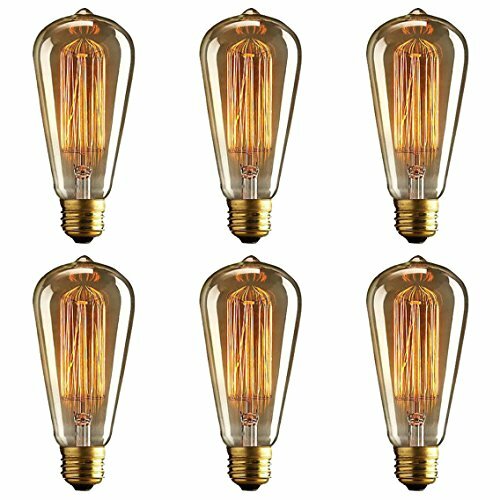 They are 11 inches at their widest and are clear glass and you use an Edison style bulb inside to add to the look (modern and safe of course!) These would look cool over a table or entrance or over the kitchen sink or even the island. If you have the height for hanging these, this style can be found online. There are some specialty lighting stores around, but so far I find they tend to carry more traditional fixtures. 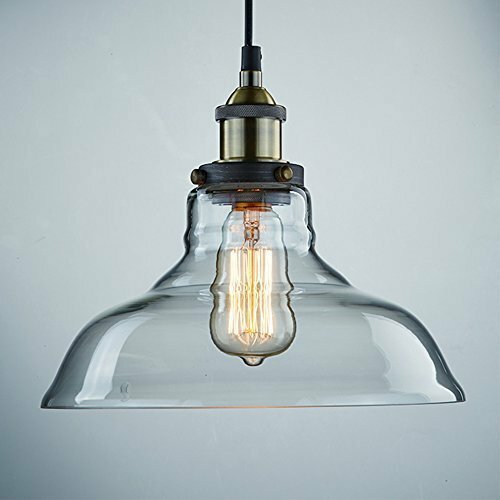 These can be found with a yellow glow or clear and you can see the filaments inside which adds to the aged vintage industrial look. These are really cool and can be found online as well. Don’t make the mistake of putting modern style bulbs in these fixtures it just doesn’t look right. Check out the different styles of bulbs that will compliment the fixture.